This is probably my most productive dry fly year in and year out. It’s easy to tie, floats reasonably well, and suspends beadhead nymphs. The only thing I could ask for is better flotation as the yellow dubbing tends to saturate and sink after five to ten casts. During 2010 I thought that perhaps the Chernobyl ant had become my top large attractor fly, but during 2011 the yellow Letort reinforced its position on the throne. 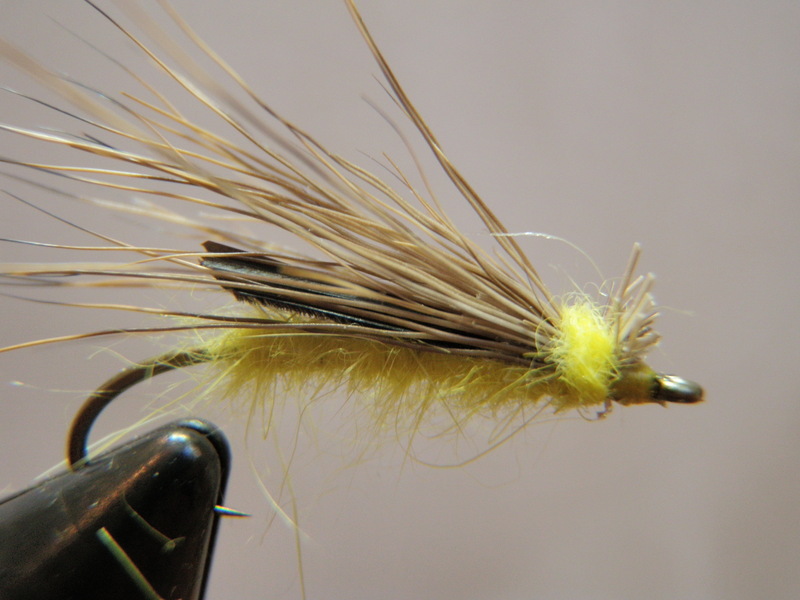 In an effort to obtain better flotation I tied a bunch of yellow and tan Charlie Boy Hoppers entering the 2011 season, but I soon discovered that I didn’t properly tie the flies and the deer hair wing came loose fairly quickly. I found myself returning to the old reliable Letort hopper, and it didn’t disappoint. 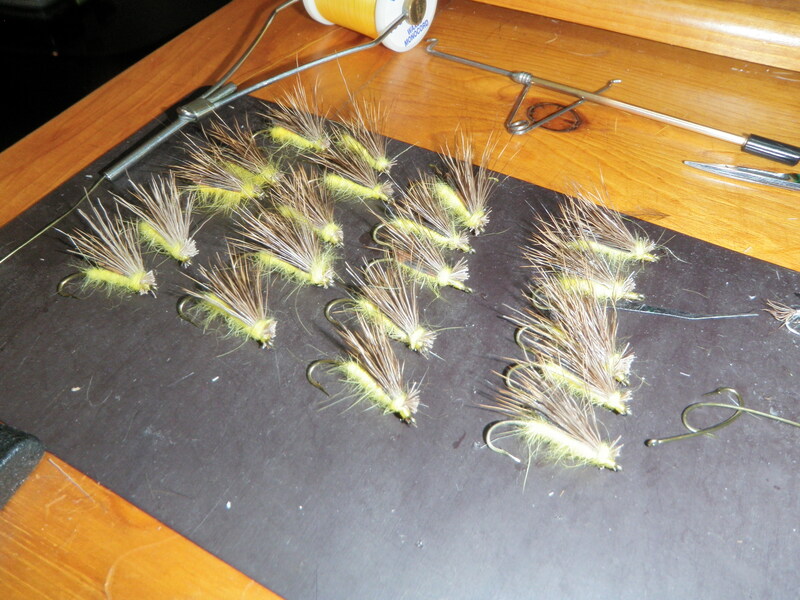 Consequently I tied 20 brand new size 10 yellow Letort hoppers in preparation for 2012 to avoid getting caught short. I have noticed the effectiveness of the yellow Letort hopper peaks in July in the early part of the season in Colorado. Perhaps this means the large yellow fly is also imitating golden stonefly adults. Hopper bodies of light gray and tan seem to take over in the late season. Is there any chance that as the season goes by the natural hoppers are out-growing your imitations and the trout are looking for larger naturals?